PERSONA BITS Archives – Let's Talk About Sets! Ashley Gavin is a robot -- a high-energy, high impact, hysterically funny, lesbian robot. Since some of her best jokes only work once audience gets to know her, we dedicated this episode to "Persona Bits." 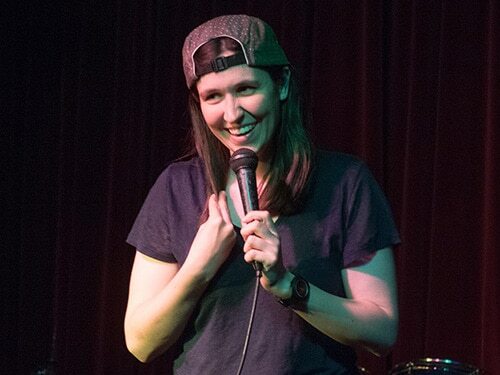 She is a nationally touring comedian, and her comedy has been featured on FOX, AXS TV, SeeSo, and SiriusXM Comedy.